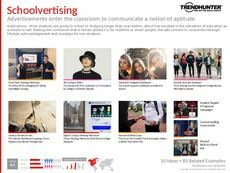 Find Better Ideas, Faster ® with a custom classroom tech trend report, our PRO Dashboard and 80+ categories of premium trend reports. 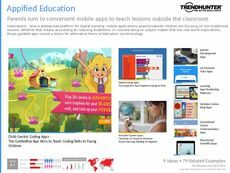 The Classroom Tech Trend Report is a compilation of the latest and most innovative gadgets, programs and high-tech tools being introduced into classrooms. As technology continues to advance, its presence within educational institutions is mandatory. This report will examine early childhood educational tools and progress through age-specific products until college and university. While there will be an analysis of laptops and computer software programs, there will be an emphasis on classroom-specific products. This report will help educational institutions and educational development specialists to assess and explore the current use for technology within classrooms. We will examine the benefits of these products and help software developers identify where they may be able to bridge industry gaps with new products. The Classroom Tech Trend Report will ensure that your brand is producing high-tech classroom devices that are meaningful, practical and useful to pupils.